Everyone knows Graham Bell, Einstein, and Edison. Recently, even Tesla is getting his due. Still, it seems that the public consciousness only has room for just a few of recent history’s most prolific and important thinkers. In the spirit of giving some of science’s most overlooked names long overdue love, here are 12 extraordinary innovators who aren’t household names, but had immense impacts on how the world functions today. 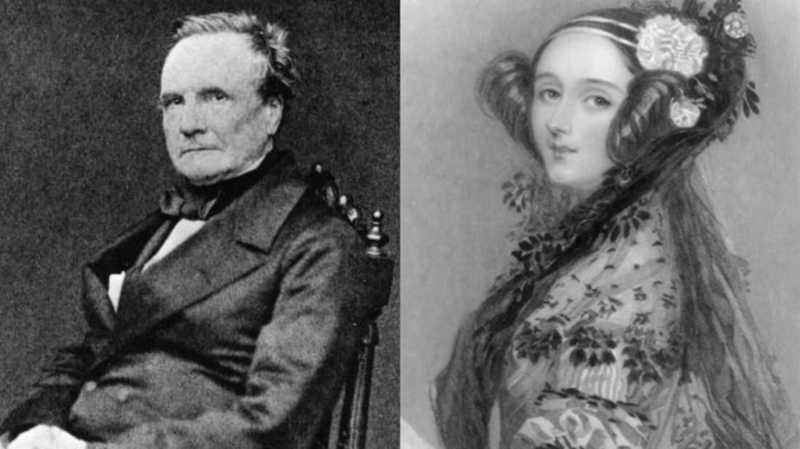 A two-for-one punch of early computing power, Charles Babbage and Ada Lovelace are widely considered the “father of the computer” and the “first computer programmer,” respectively. Over a century before Alan Turing was cracking Nazi codes, Babbage (also a Brit) was building one of the first mechanical computers and inventing the concept of computer programming. He even conceptualized a computer called the Analytical Engine that could be programmed and store data, but was unable to secure the funding necessary to complete it. It’s an unfortunate and undeniable truth that 98 percent of people who recognize the name “John Snow” will associate it with Kit Harington’s dreamy mug. British-accented HBO characters might have a lot more star power than brilliant, British-accented 19th-century epidemiologists, but make no mistake—modern humans owe a massive debt to the latter. Back in 1854, before the development of germ theory, diseases were largely credited to "bad air" and ventilation. But following a deadly 1854 cholera outbreak in London, Snow aggressively researched and mapped the spread of the disease both during and after the outbreak, tracing it back to a single water pump located on Broad Street. His findings would lead to water and waste system overhauls in London, and eventually a public health overhaul around the world. The number of lives his work saved is pretty much incalculable. And if his resume wasn’t already impressive enough, Snow was also a trailblazer in the field of anesthesia, publishing several landmark papers on how to safely and effectively administer potentially deadly anesthetic chemicals. Born in Russia in 1857, a childhood battle with scarlet fever left Tsiolkovsky near-deaf and unable to attend school; he was almost entirely self-taught. Captivated by the works of Jules Verne, he started out writing science fiction of his own, but became transfixed by the hard problems of space flight. Tsiolkovsky never held a professorship and was largely a recluse, and thus conducted almost all of his work in isolation in the then-remote town of Kaluga, Russia, making money as a schoolteacher and funding experiments with grants. So how far can you get as an independent scientist? Pretty far: Tsiolkovsky was a major inspiration to the scientists who beat the United States into space, and is thought to be the first person on earth to have given sophisticated scientific and mathematical thought to space travel. His proposal that multistage rockets were the most practical option for escaping earth’s gravitational pull turned out to be pretty much right on the money. Not to be confused with Satyendra Nath Bose, for whom the boson is named, or Amar Bose, inventor of Bose headphones, Jagadish Chandra Bose was a brilliant Bengali scientist who deserves almost as much credit for his sheer spirit of generosity as he does for his substantial contributions to his field. Regarded by many as the father of wireless telecommunications, Bose was a significant contributor to the invention of radio, for which Guglielmo Marconi tends to get almost all of the credit. Among other contributions, Bose invented the receiver Marconi used during his famous first transatlantic communication. He also made several important breakthroughs in microwave optics, and ended up making perhaps his most indelible mark in the field of plant physiology, researching how they react to external stimuli. However, because he refused to patent almost all of his inventions, his place in science history is frequently overlooked. Doing Emmy Noether justice in just a paragraph is tough for two reasons: First, she was so immensely prolific in her accomplishments, Albert Einstein called her “the most significant creative mathematical genius thus far produced since the higher education of women began,” and second, most of her breakthroughs were in the fields of abstract algebra and theoretical physics, making them difficult to boil down to just a few sentences—but we’ll give it a shot anyway. If information is the biggest legacy of science and invention in the 20th century, Leó Szilárd’s best known idea, the nuclear reactor, probably comes in second. In fact, a second place finish seems oddly appropriate for the Austria-Hungary-born scientist, who essentially made a career of deferring top billing. First, he shared the original patent for the nuclear reactor with Enrico Fermi, who went on to better name recognition for things like his “Fermi paradox,” which observes the unlikeliness of the fact humans have yet to come into contact with alien life. In 1939, understanding the potential of nuclear reactions to help win World War II, Szilárd wrote a letter to President Roosevelt urging him to pursue what would become the Manhattan Project. But the letter’s signee, his frequent collaborator Albert Einstein, would end up getting the credit. Additionally, two of his contemporaries would win Nobel Prizes for inventions he’s thought to have first imagined—the cyclotron and the electron microscope—but Szilárd would die in 1964 without one. Julian was a ceaselessly brilliant chemist with roughly 130 patents. His most enduring accomplishments include creating new and affordable processes for synthesizing progesterone, estradiol, testosterone, physostigmine, and cortisone. It all sounds a bit academic until you realize that his work led directly to the widespread availability of the birth control pill, steroids used to treat everything from asthma to arthritis, and immunosuppressants that are vital to organ transplants. Equally impressive, all of Julian’s accomplishments occurred after being born at the epicenter of Jim Crow America in 1899. An African American trailblazer and civil rights activist, Julian was the first black chemist to be elected to the United States’ National Academy of Sciences, and one of the first to hold a Ph.D. in chemistry. Philo T. Farnsworth started working on what would become the first modern television at age 14, and would end up with some 300 patents total. Mechanical televisions were developed during the early 20th century but with their poor image quality, they were nothing more than a curiosity. Not until the Utah-born Farnsworth demonstrated his electronic model in 1927 was TV ready for prime time, as they now say. Unfortunately, Radio Corporation of America (RCA), and in particular telecommunications pioneer David Sarnoff, weren’t always particularly respectful of his patent on the electronic television, and seemingly went out of their way to minimize his contributions. Farnsworth grew to dislike his invention until the first moon landing was broadcast to his home, at which point he said to his wife “this has made it all worthwhile." Every time you look at a computer screen, check your cellphone, watch TV or use a microwave, you should thank Claude Shannon—meaning you should spend roughly 90 percent of your waking life thanking Claude Shannon. While studying at MIT during the 1930s, the Michigan-born mathematician did something brilliant, unexpected, and utterly world-changing: he applied binary code to circuit designs, giving us the ones-and-zeroes architecture we’ve since used to make once-unthinkable modern realities—like near-limitless data storage, and the internet—possible. When Shannon wasn’t busy practically inventing the field of modern information theory, he did other cool things, like invent a juggling robot and (successfully) devise ways to beat Vegas. After years spent flying far under the radar, there’s been a bit of a campaign to restore Rosalind Franklin’s name to science history alongside science titans Francis Crick and James Watson, where, by nearly all accounts, it rightfully belongs. Confirming the double-helix structure of DNA—widely considered one of the two or three most important scientific discoveries of the 20th century—was largely the work of four collaborators: Maurice Wilkins and Franklin, who generated groundbreaking X-ray diffraction imagery of DNA, and Watson and Crick, who used the imagery to confirm the double helix model. Unfortunately, Franklin died of ovarian cancer in 1958 at age 37, five years before Watson, Crick, and Wilkins were awarded Nobel Prizes in Physiology for the discovery (Nobel Prizes are not awarded posthumously). Following her work on DNA, she also conducted pioneering studies into the structure of viruses. Another great thinker who ought to be famous two times over, Patterson, a California Institute of Technology geochemist, is largely responsible for two equally incredibly distinctive yet chemically linked accomplishments: calculating the approximate age of the earth and campaigning for a massive overhaul of the lead industry. The first feat was accomplished alongside fellow graduate George Tilton at the University of Chicago in 1953, where the two developed new lead dating methods and discovered the earth was roughly 4.6 billion years old—an estimate that has hardly changed to today. His legacy should have been cemented even if he hadn’t spearheaded one of the most important public health advocacy campaigns of the 20th century: a steeply-uphill-yet-ultimately-successful fight against powerful conglomerates to remove dangerous lead contents from consumer products in the United States.